Dr Beau has always had a passion for health, fitness and an active lifestyle. Having played high grade football, cricket and swimming from an early age, a run of chronic injuries that seemed to only respond to chiropractic care led Dr Beau down the path of becoming a chiropractor himself. 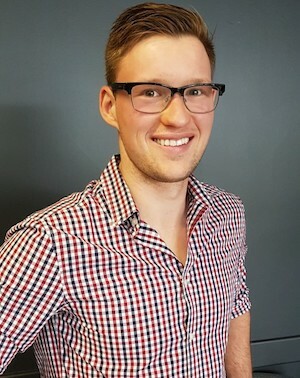 Born and raised in Perth, Dr Beau graduated from Murdoch University, completing his 5-year Chiropractic degree in 2014. Always up for a challenge, Dr Beau immediately relocated to the country town of Katanning where he worked as an associate for two years. Dr Beau then spent the following two years supplementing his love of travel and adventure with chiropractic by locuming in the towns of Kununurra, Port Hedland, Newman, Bunbury and Busselton. Dr Beau has also travelled to India as a Chiropractor, providing free treatments to the impoverished rural communities for the not-for-profit Hands on India group. Dr Beau is an avid learner and continues to improve his skills and knowledge base and has completed further studies in neurology, paediatrics and sports chiropractic. Dr Beau has not only completed both International Sports Chiropractic modules; but was also lucky enough to have been trained by two chiropractors who have treated at 11 Olympic games combined. This training has given Dr Beau the opportunity to treat at numerous sporting events, behind the scenes at music festivals; as well as being a former head trainer for an A-grade Football team. In clinic Dr Beau has treated patients that have ranged from the age of 2 weeks, to over 90, treating countless conditions such as your typical tension headache, niggling low back or just improving a patient’s posture. Dr Beau’s special interest however is in treating athletes and improving patients’ biomechanics and function in a noticeable and meaningful way for the patient. Whether that be being able to bend down and tie your shoe laces easier or getting out of bed every morning without being stiff, Dr Beau loves to set goals with his patients that they can both work towards. In his time away from Belridge, Dr Beau keeps busy by being a supervising clinician at Murdoch University overseeing the final year chiropractic students. Otherwise you can find Dr Beau out and about either playing or watching sport, on the couch with a good book in hand, or planning his next travel adventure with his partner Kristen who is a Chiropractor herself. Please call our office for Dr. Beau’s office hours!